Offering you a complete choice of products which include suspended permanent magnetic separator, suspended electromagnetic separator, magnetic floor sweeper, magnetic rods and magnetic separator grid. We are the famous company known for providing Suspended Permanent Magnetic Separator to the clients. This product is designed and fabricated using quality assured raw material, procured from the market as per the choices of clients. Suspended Permanent Magnetic Separator is made available in different sizes, grades and thickness. Offered range is widely used in heavy duty industrial applications. This product is useful to remove undesired metal from heavy burden depths of material, which is conveyed on fast moving belts. Electromagnetic suspension separators are supplied for deep depth up to 700 mm depth and manufactured with Copper and Aluminium insulated conductor. 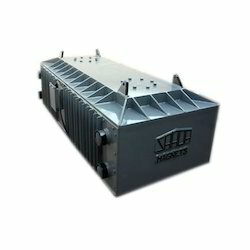 We are the number one company known for offering Suspended Electromagnetic Separator to the clients. This product is used for providing continuous and automatic discharge of collected tramp iron. Suspended Electromagnetic Separator is made with utmost perfection under the supervision of our expert professionals, who are well-versed in this domain. Offered range is applicable in different industries, this product is simulated with the aid of ultra-modern machine and technology. 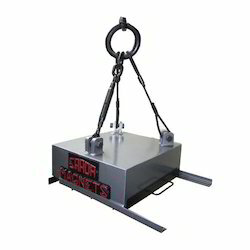 Most effective for removal of tramp iron from material carried over conveyors/ vibratory feeders or inclined planes. Electro magnetic suspension separators are supplied for deep depth upto 700 mm depth and manufactured with Copper and Aluminium insulated conductor. Our company has achieved laurels for providing Magnetic Floor Sweeper to the clients. Offered range is manufactured by making use of best quality raw material with the help of ultra-modern expertise as per the set industry norms. This product is tested on various parameters so as to gain trust amongst our clients. 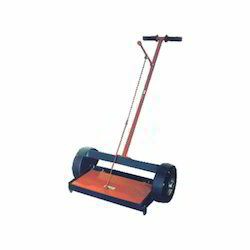 Magnetic Floor Sweeper is best for elimination of metal debris from walkways, garages and yards and other places. Cost effective in packing department to retrieve costly raw material like nuts/bolts/balls/bearings etc. Being a leader of this domain, we have been able to manufacture and supply the optimum quality of Magnetic Rods. 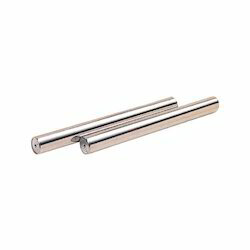 Owing to its dimensional accuracy, sturdy construction and resistance against weathering conditions, the offered magnetic rods are highly demanded. For meet the precise needs of our customers, we offer these magnetic rods in different sizes and thicknesses. Our company has gained name and fame for offering Magnetic Separator Grid to the clients. This product is used in various types of magnetic separator for the removal of tramp iron. Offered range is manufactured by using excellent quality material and latest machine under the supervision of skilled professionals. 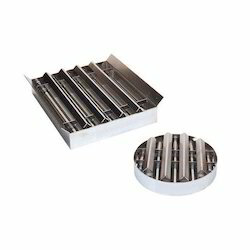 Magnetic Separator Grid is highly appreciated for sturdiness, high strength, and long service life. This product is available in standard as well as customized options. Attracts tramp iron pieces from inflow of material in hopper. Looking for Magnetic Separator ?